• For metric users, now remembers the Imperial / Metric setting. 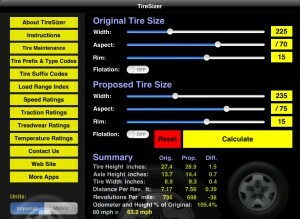 • Added Tire Width calculations. On iPhone and iPod touch, this replaces Axle Height in the summary screen due to limited screen space. 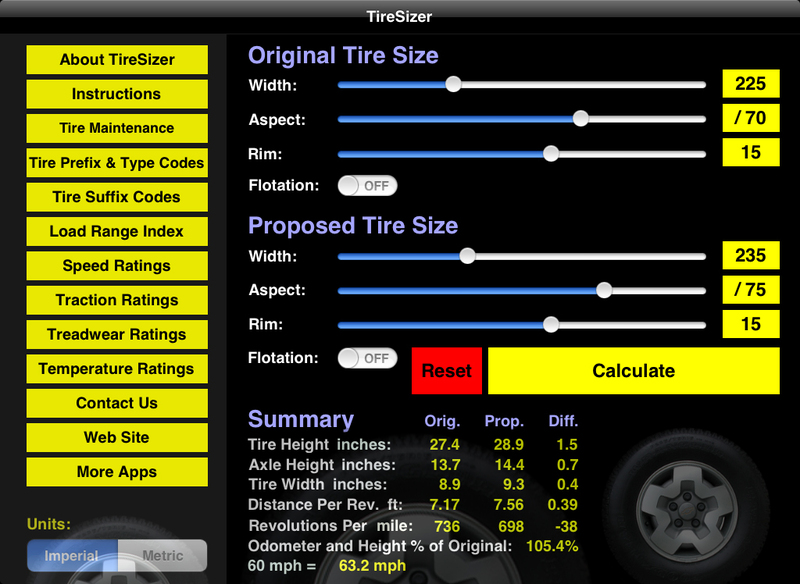 However, on the info button’s screen, you can select the option to show either Tire Width or Axle Height. • Corrected calculations for Proposed sizes in metric when Flotation size is on.